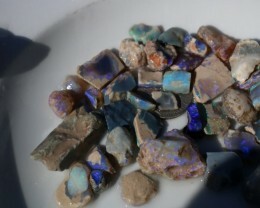 Folks here is some new old material from the famous 7 mile field in Coober Pedy. 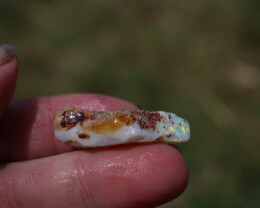 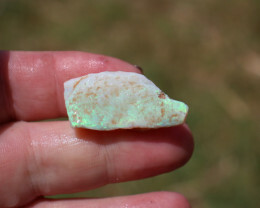 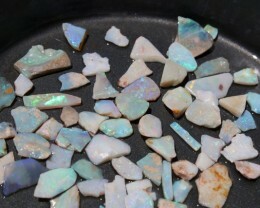 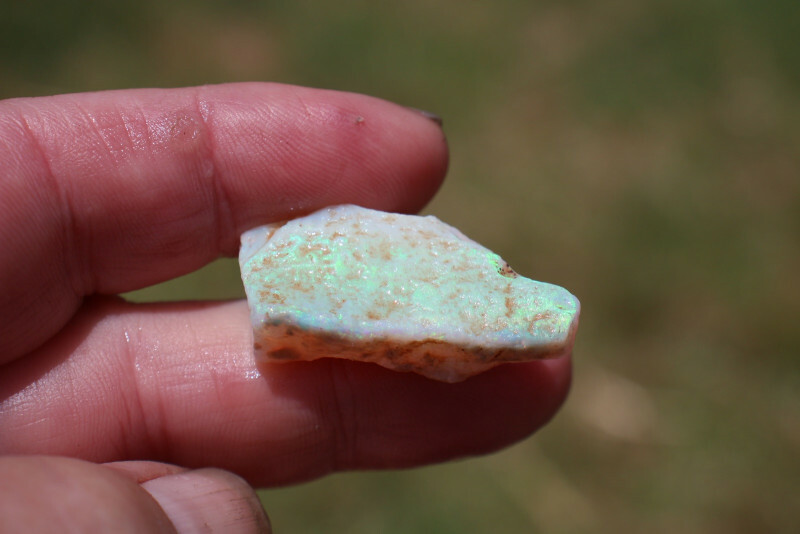 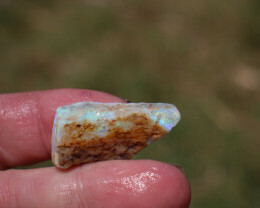 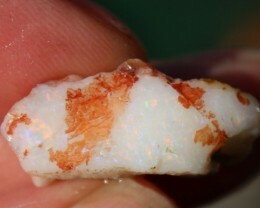 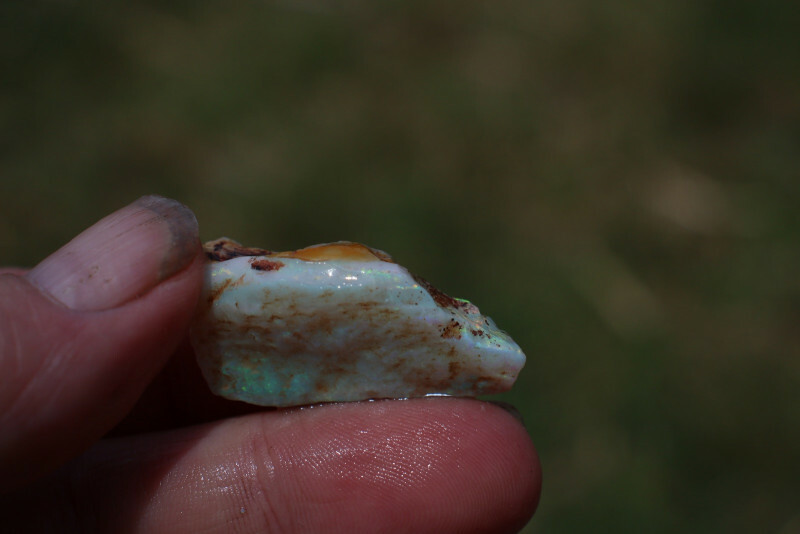 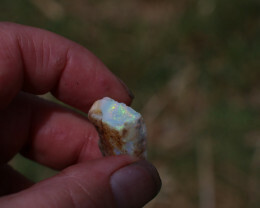 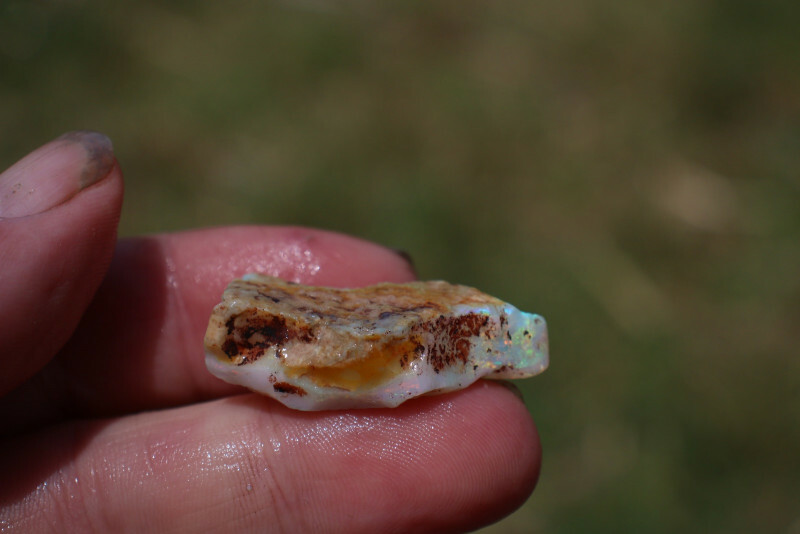 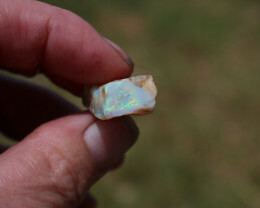 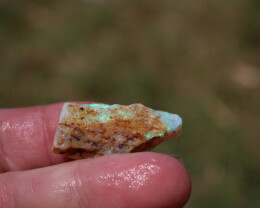 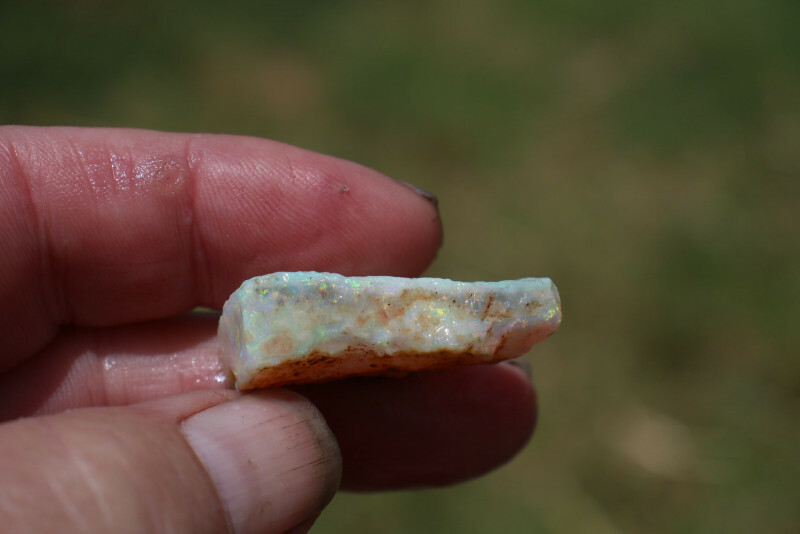 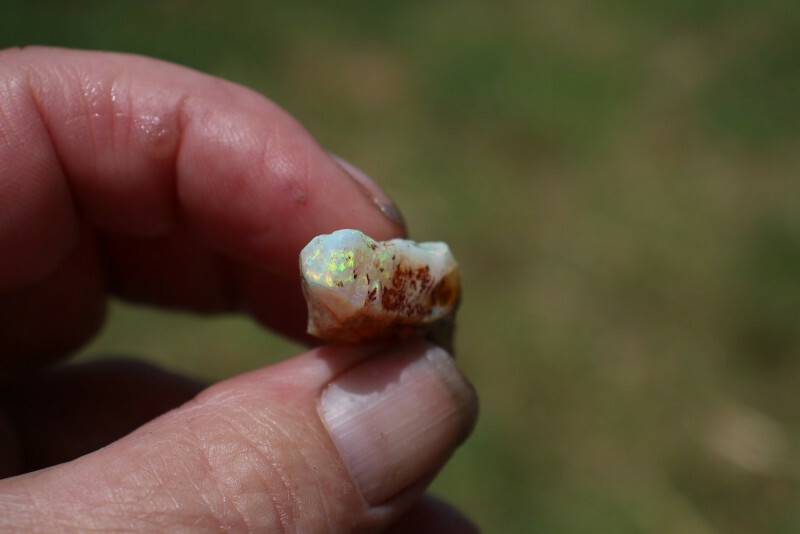 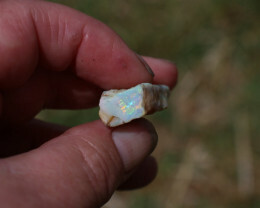 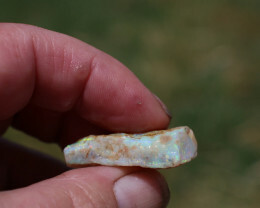 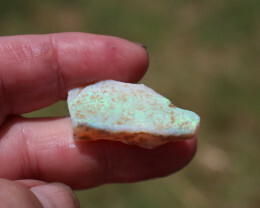 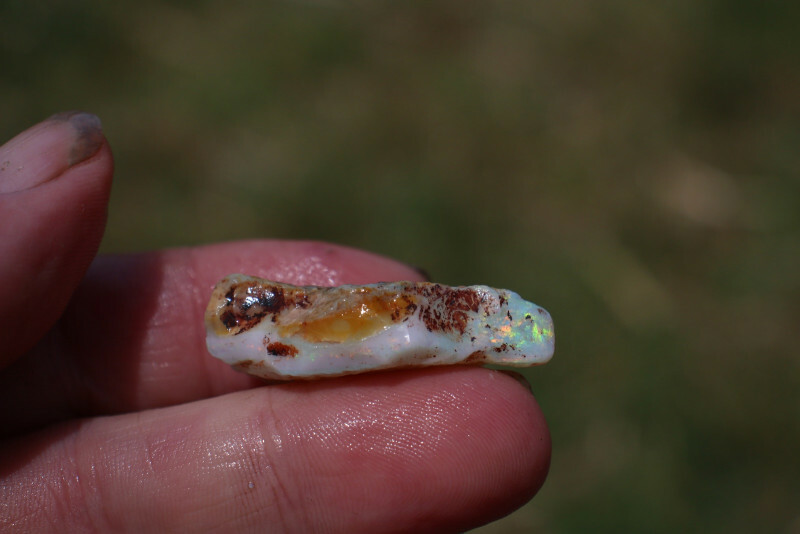 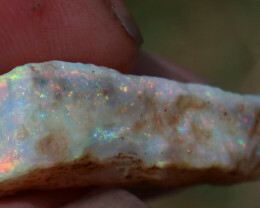 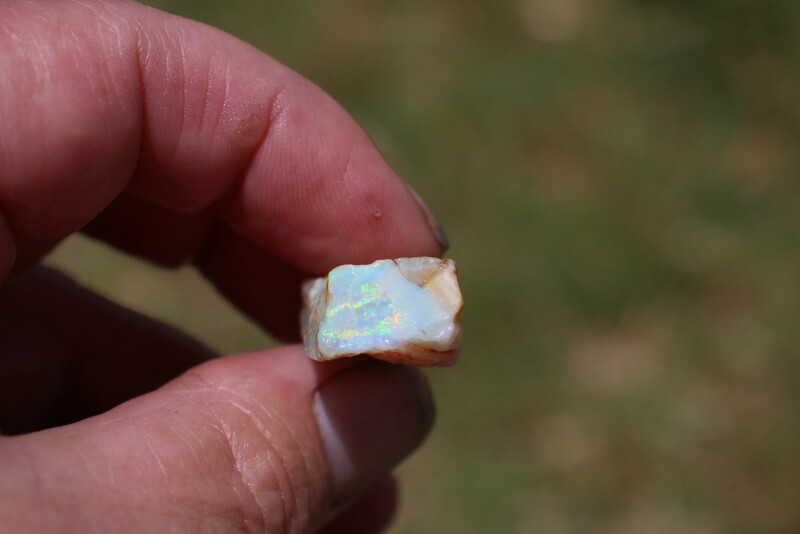 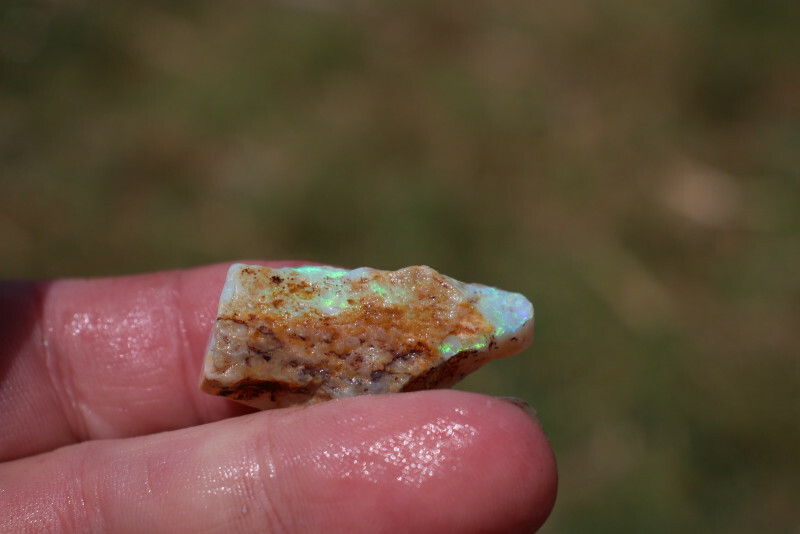 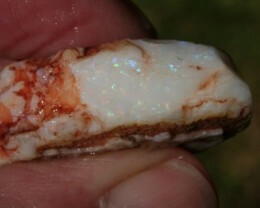 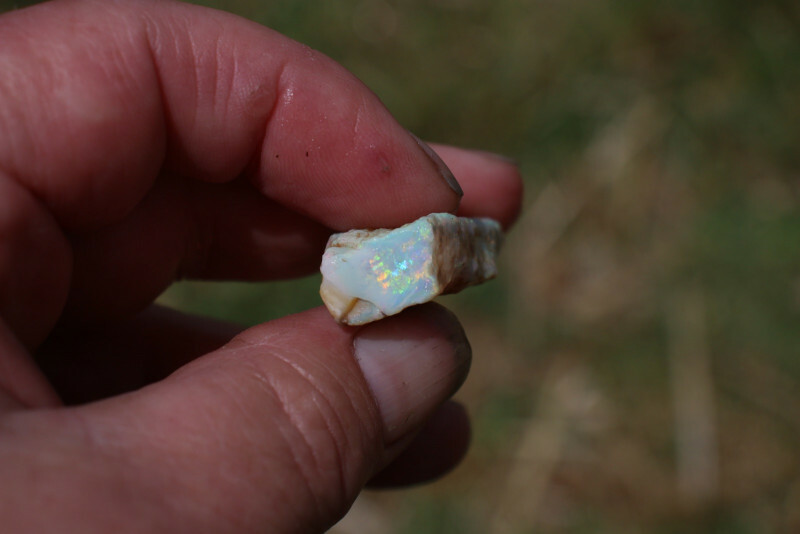 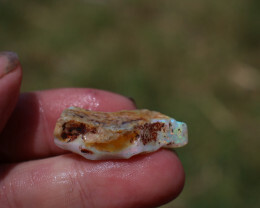 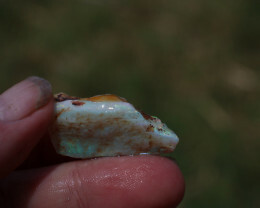 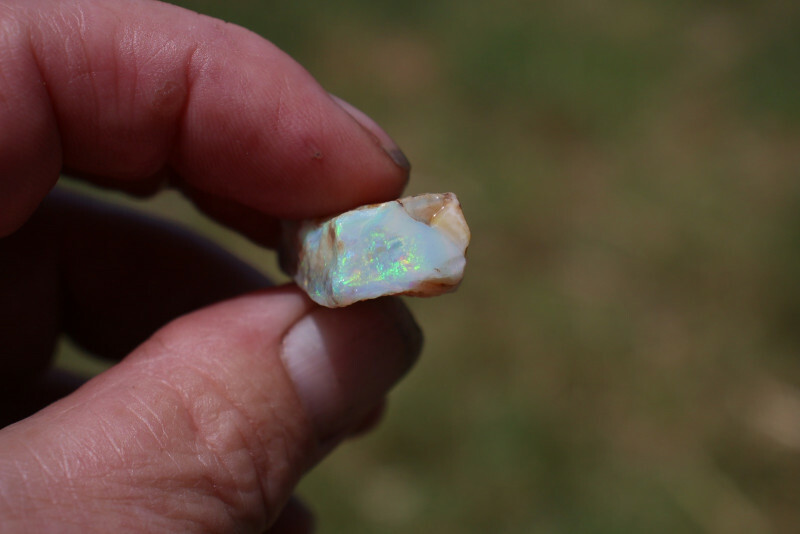 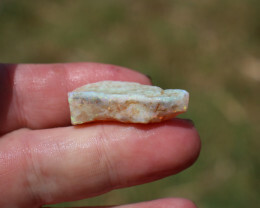 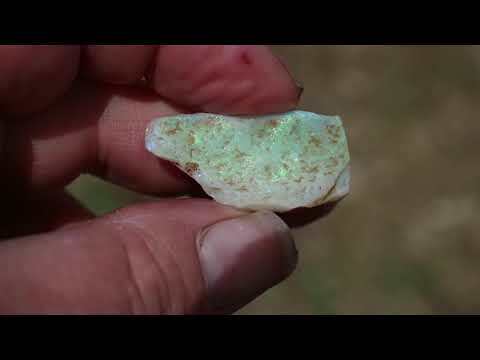 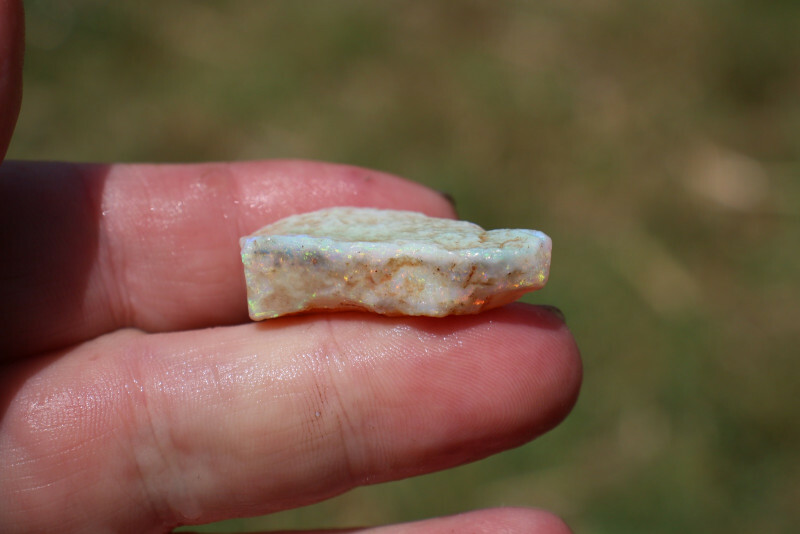 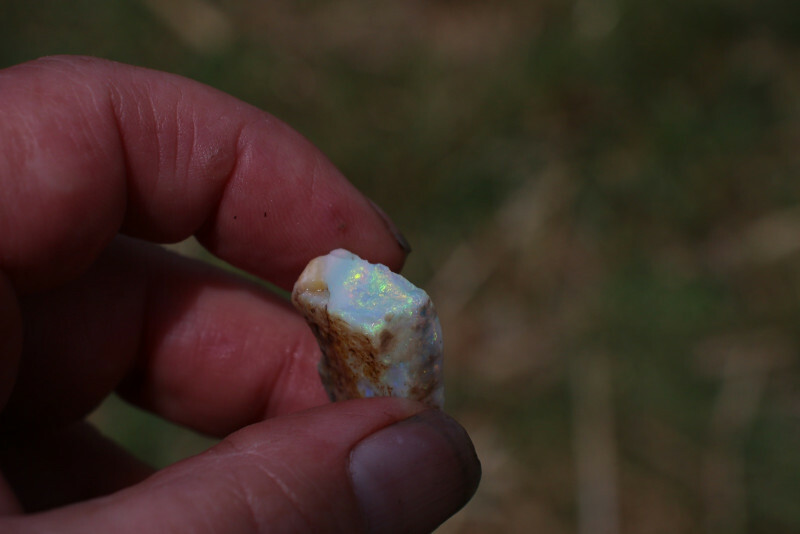 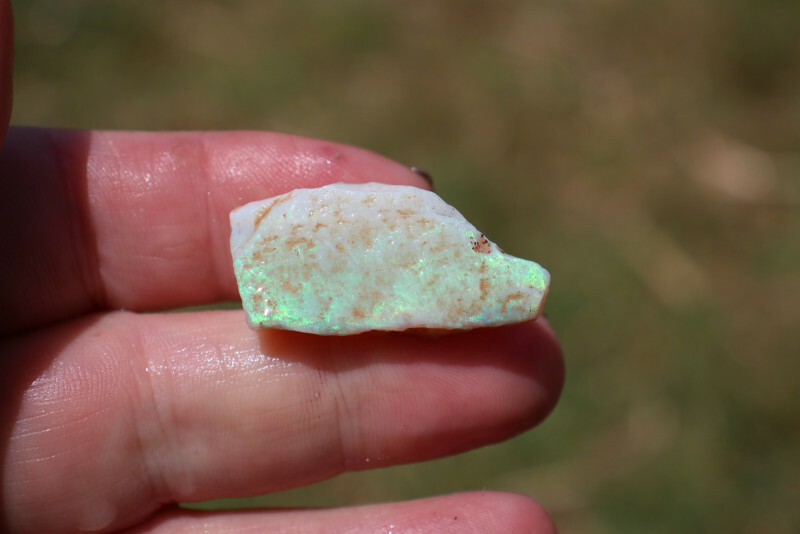 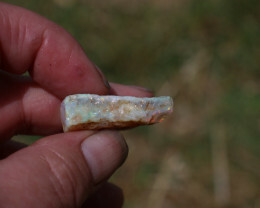 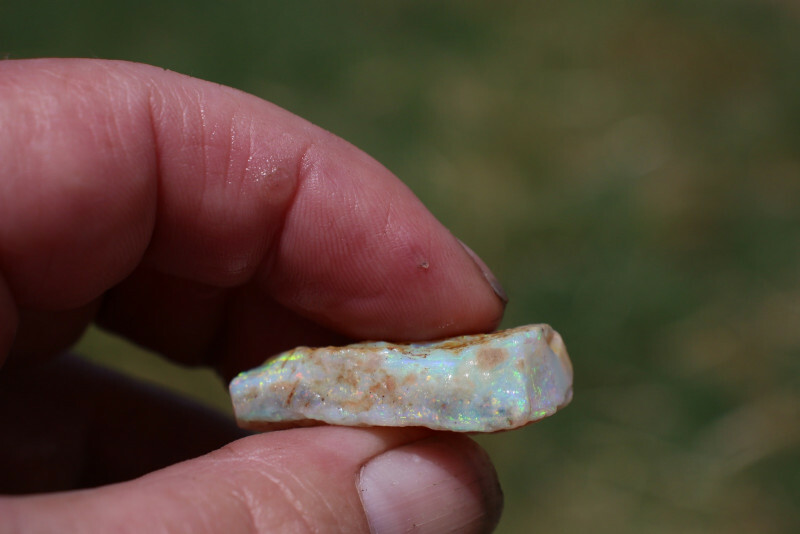 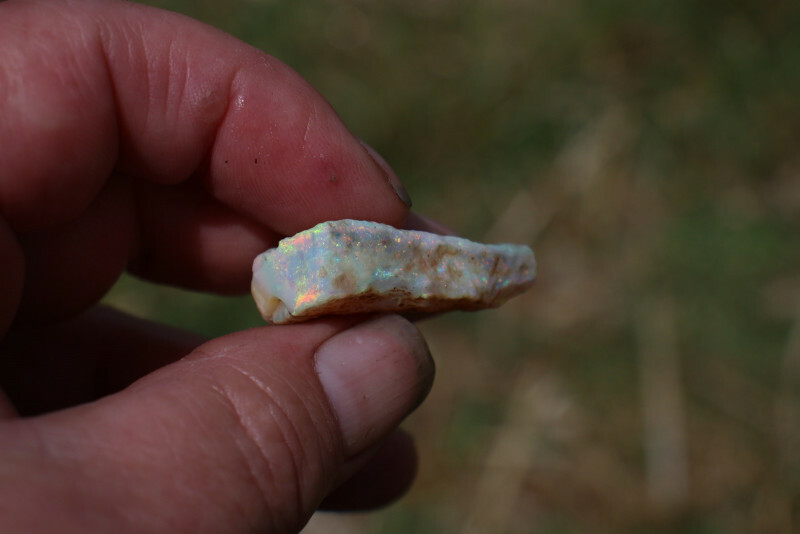 Material from this field has cut some of the best gem Opals ever cut. 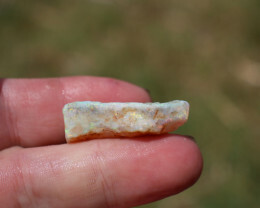 It measures 36 x 16 x 10mm and weighs 38 carats or .248 of a troy ounce. 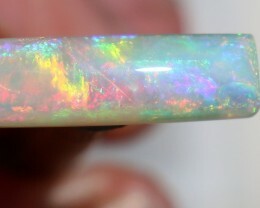 It has all colors of the rainbow and is super clean. 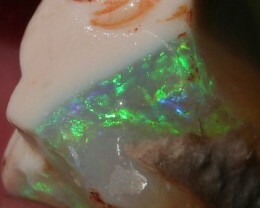 Looking at it with the lazer there is just a faint skin on it and it is as clear as glass inside. 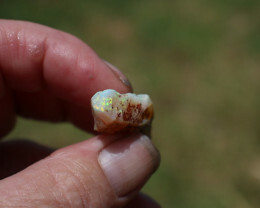 There is a super bright green skin and under that is very rich multicolored fire. 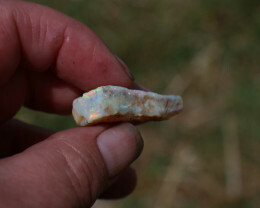 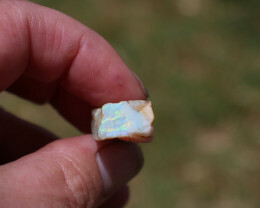 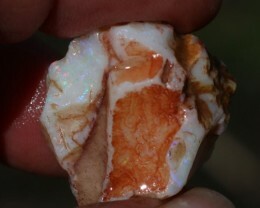 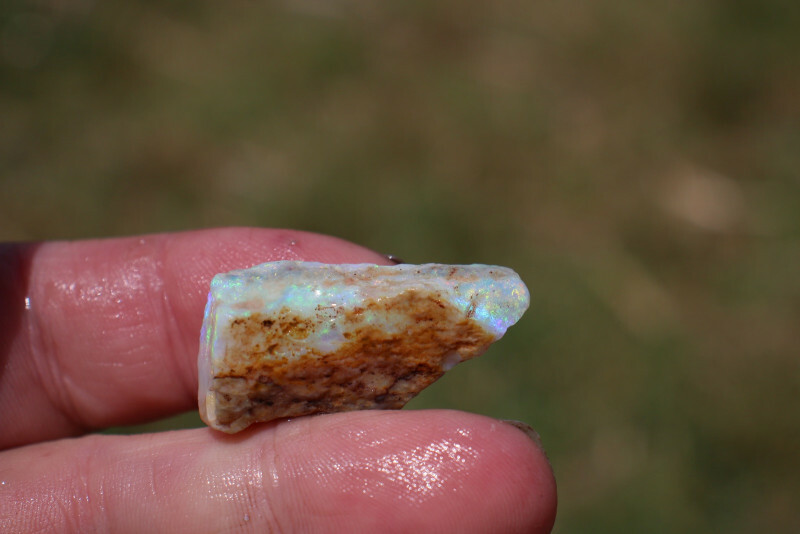 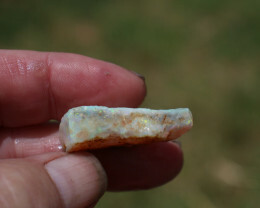 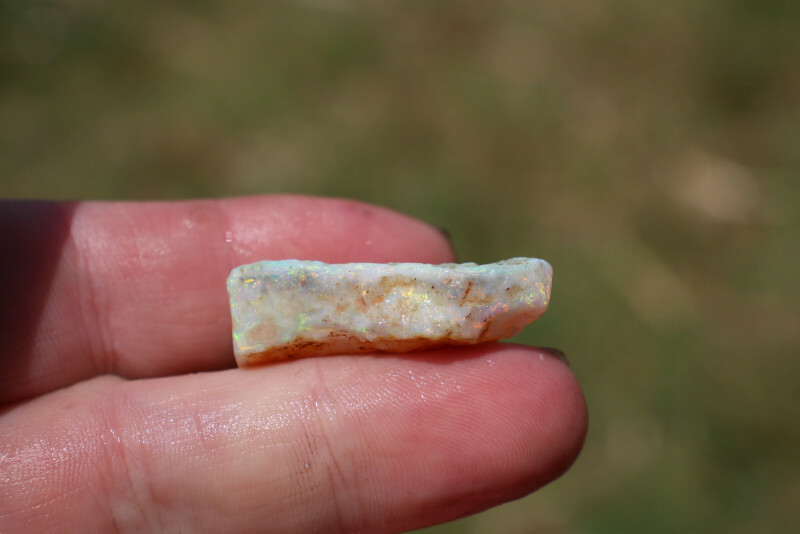 This rough will cut an exceptional opal or two. 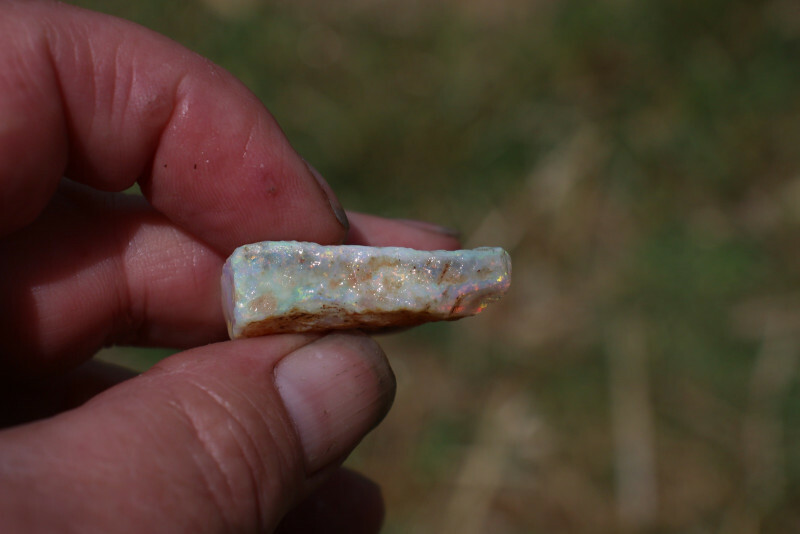 A good cutter could get a ringstone with a matching pendant and two small ear rings. 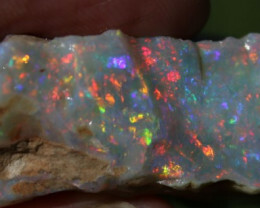 Another Christmas Special for you.